سواءً كنت مسافراً بغرض السياحة أو العمل, فندق مانترا أون كوين هو خيار عظيم للإقامة خلال زيارتك بريسبان. يمكن من هنا للضيوف الاستمتاع بسهولة الوصول إلى كل ما تقدمه هذه المدينة النابضة بالحياة. يضفي محيط الفندق اللطيف وقربه من ‪Webber House‬, ‪Ann Street‬, كاتدرائية سانت جونز الإنجليكانية سحراً خاصاً على هذا الفندق. يعمل فندق مانترا أون كوين على ضمان إقامة مريحة لضيوفه من خلال خدماته الممتازة وحسن ضيافته. يمكن الاستمتاع بمجموعة من الخدمات على أعلى المستويات في الفندق كمثل مكتب الاستقبال على مدار الساعة, تسجيل وصول/خروج سريع, تخزين الأمتعة, صف السيارات, خدمة الغرف. تتضمن كل غرف النزلاء وسائل الراحة والتسلية المصممة خصيصاً لضمان الراحة القصوى للضيوف. إن حوض استحمام ساخن, مركز للياقة البدنية, ساونا, مسار جولف - ضمن 3 كم, حمام سباحة خارجي هو المكان الأمثل في الفندق للاسترخاء وتفريغ طاقتك بعد نهار طويل. إن فندق مانترا أون كوين هو مكان مثالي للمسافرين الذين يتطلعون إلى الراحة والاستجمام في بريسبان. يقدم الفندق خيارين للإفطار: كونتيننتال (مقابل 18 دولار أسترالي) وإفطار كامل (مقابل 28 دولار أسترالي). Great Location, close to almost everything. Easy Uber or walking distance. Woolworths is also just across the road. There is an extra $20 per day for parking if you have a car. I didn't use it but I believe WIFI was also an extra cost without being a Mantra Member. Friendly and helpful staff. Great Location between, City, Fortitude Valley and Spring Hill. Woolworths round the corner and close to many eating out options. Close to easy accessible public transport. Worth it to get the upgrade to One Bedroom River View Room. Our stay was consistently good. 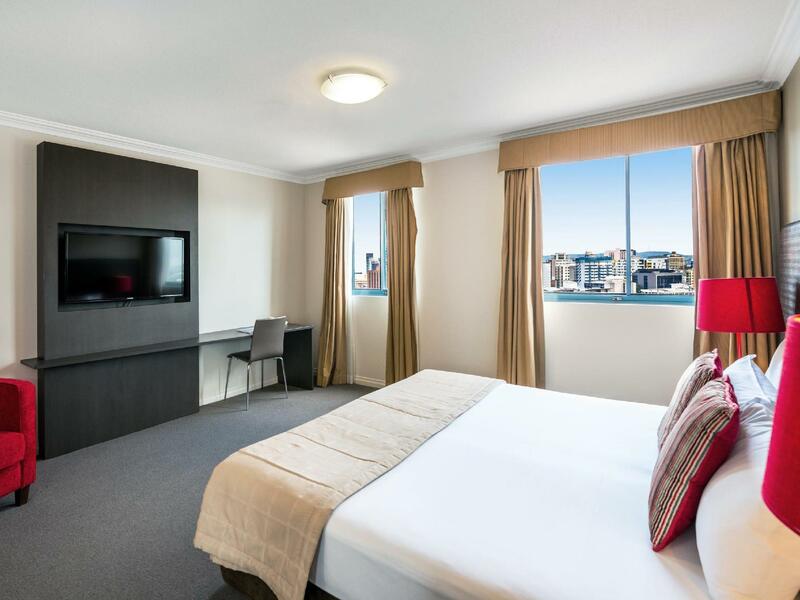 Centrally located and within walking distance to Fortitude Valley for good food, China Town, great bars and entertainment. 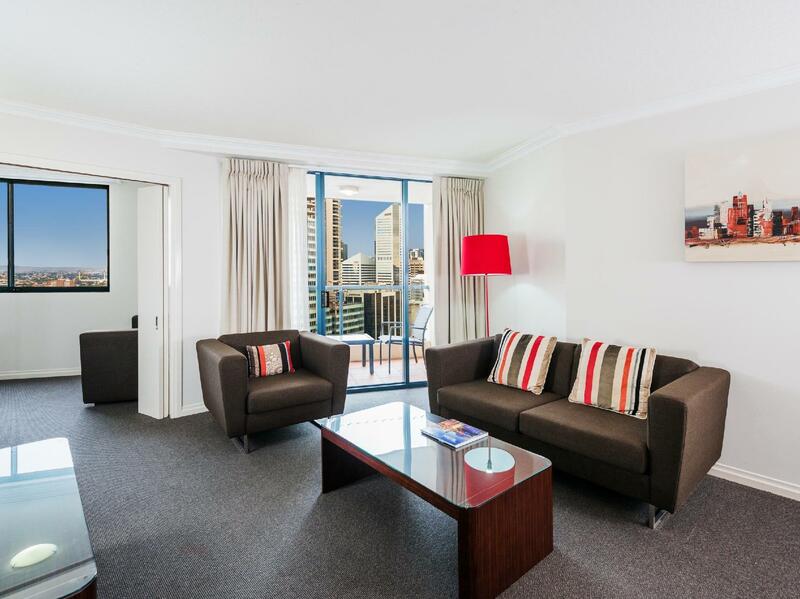 Easy walking distance to air train (to airport), City, South Bank, rental cars. Staff are great and friendly, rooms are clean, large, comfortable, and very affordable. Stay at mantra was very comfortable. The room was a nice size and the bed was large and comfortable. We chose it to be close to fortitude valley, which it was. Both the valley and the city are accessible by an easy short walk. I was awakened 8 times on Friday night and 4 times on Saturday night by police, fire service or ambulance sirens; sound-proofing needs attention. The dense shades on the bedside lights prevent light reaching the bed at a point where one would hold a book to read. The armchair needs to be better lit so one can sit and read in it. Hope this helps. Otherwise, excellent. I often stay at Mantra's and the quality and service is great, as it was here. My only issue was how noisy it was, being in the city I expected a bit of street noise but I was really disappointed in how much noise came into our room via the internal walls. Every morning when the cleaners came through the halls could hear every bit of it as well as our neighbours in the next room the moment they started moving around. Nice hotel, quite old but neat and tidy. Furniture a little out dated. Balcony very small. Spa jets in the bath but didn't work. Car park is a nightmare - for the price you pay for parking I would expect it to be a functional car park but it was so hard to navigate around poles and into a parking space. Great location an easy walk along the river to Eagle St Pier. and great having Woolworths and bottle shop directly across the road. We booked in for two days, and extended for another day. It was a lovely, memorable occasion. The room was clean, small but adequate. (Quirks: the bar fridge was in a tiny cupboard under the sink, which got very hot to the touch. The TV offered movies-on-demand, but wouldn't play them.) But the staff! There was nothing they wouldn't do, and then would do it with a smile to light up the day. Oh, and the food was great, really great! Construction under way. Lift felt unsafe to use. Car park was terrible and unsafe - narrow and post in the middle of drive way. Breakfast is over-priced. King bed was made of 2 singles and uncomfrotable. Bed srping protruded. Room smaller than it appears and had to step around large coffee table to get to very small balcony. Took three days to get a light bulb changed, a pretty main one at that. Had a rollout bed request for one night, reminded staff the next morning it could go and that took two days. In a small room it took a bit of space behind the chair. Laundry is actually in between two rooms, so not actually in the room as advised. Booked an apartment for two with river view, idea being we could just chill and relax and do whatever we wanted to do. Getting to the hotel staff were very helpful and this continued throughout the stay, great room had everything we needed , clean and comfortable. Used the sauna and the hot tub and pool but not the gym. All were small but saying that not well used and the three times we used only saw one person use the gym .. so just enough. Eating... the first night we walked to the CBD (Eagle St Pier) and the second night to the valley so we didn't try the grill but heaps of restaurants around to choose from and no hassle to get to. In the rooms we had a small study with a pull out bed and would have been great for two small children or one an older one. Definitely will stay here again and no hesitation to recommend. Stay was pleasant, but the entry was hard to be found (not indicated in maps) it's from the opposite side of the main road. Supermarket very close, all restaurants and amenities very close, close to bus stop to go around. Very well located. Overall was great. However room description on booking website said balcony but this was incorrect, we did not have a balcony. Booking website said parking available underneath but did not say it was $20 a day. There was a bar but it was not open during the day. 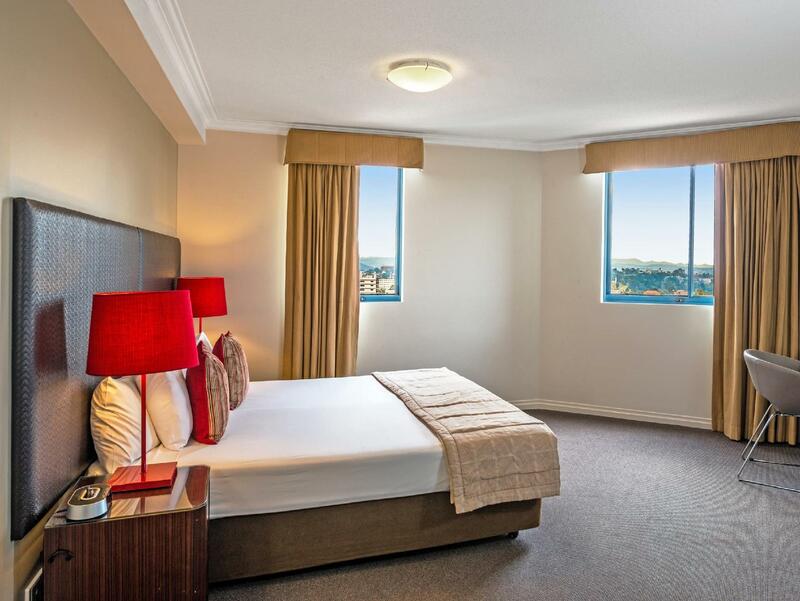 Friendly helpful staff, the room we were in was a great room, it was a good size and it was close to everything eg The City, The Valley, Eagle Street Pier. If I had to describe it in one word, that word would be awesome. First & foremost I would have to thank our daughter for sending us to the Mantra as my husband & I were celebrating our 26th wedding anniversary, we love it , our stay was as I said before awesome. I would like to extend our thanks to the wonderful staff you have at the hotel. We would definitely stay there again & we have already recommended to some of our fiends. Thank you so much again. I like staying so close to a small shopping cetre that alows me to stock up at Woolies and grab a wine from the bottleshop. This is at the door and most convenient. Quiet end of town but easy walk to everything. Very nice staff, clean and comfortable room and not too far from the train station and walking distance to the main shopping precinct . Definitely good value for money. I was pleasantly surprised of how comfortable it was. There is a very nice restaurant on the reception level (only open in the evening) that would be my only fault for this hotel but easy access to other cafes and restaurants for breakfast. 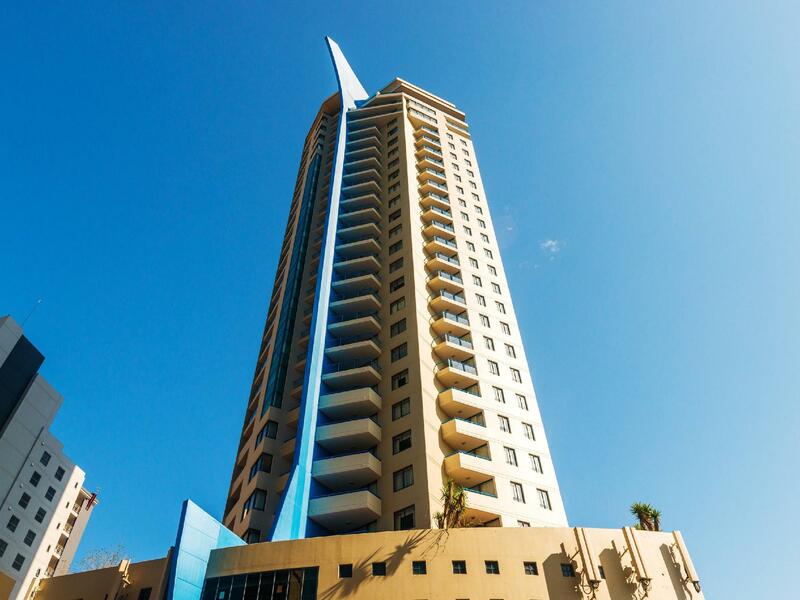 You are within walking distance to the river, train station and only a few blocks to the main shopping (CBD) area. All in all a very convenient hotel to stay.